One of the best hostels I have ever been to. Clean, comfortable, kind staff and a great Detroit experience. 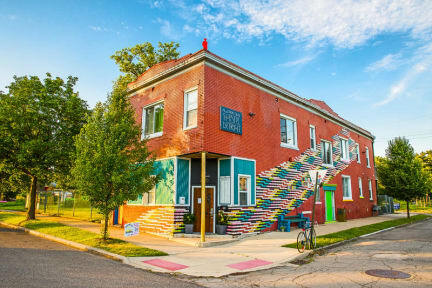 It was good to be in this hostel friendly staff I simply enjoyed as well in Parthenon hostel in Chicago The one in Damen Chicago the walking above our heads day and night was very disturbing and the talking at night outside near the door as well. All together the hostel experience in the US was really good Thank you! Common rooms are nice, but the dorms could use some updating and are missing the bare minimum for a proper dorm (no personal night-light for each bed, not enough outlets to charge everyone’s phone, no place to put any personal belonging..). 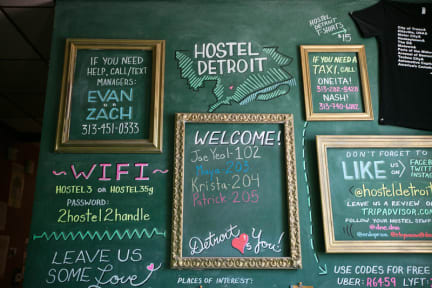 Would have loved to ask staff more about Detroit but I could never find them anywhere in the hostel. The hostel has a very friendly atmosphere though!